You’ve probably read that you should eat plenty of fruits and vegetables during the day to support a healthy diet. But what exactly does “plenty” mean? And won’t eating too much fruit make you gain weight? We spoke to Jim White, RD, ACSM, owner of Jim White Fitness and Nutrition Studio, who broke it down for us. 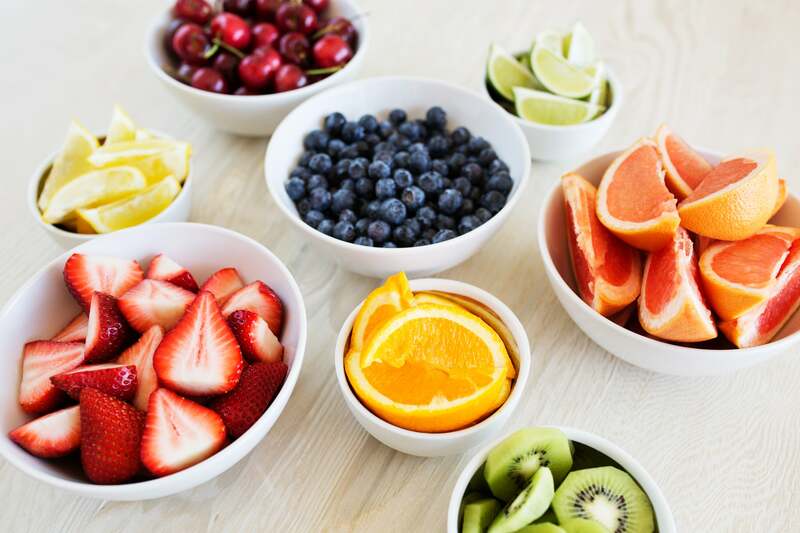 The USDA recommends adults eat a minimum of two servings of fruit a day, while the American Heart Association recommends at least four servings of fruit per day. “Fruit provides a wonderful array of vitamins, micronutrients, and antioxidants, from vitamin A, C, and beta carotene,” Jim told POPSUGAR. And while fruit can be high in fiber, a nutrient most Americans need more of, it is possible to overdo it on the fruit and eat too much fiber, especially if you’re also eating a lot of vegetables. 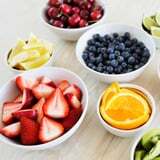 He recommends balancing the amount of fruit and vegetables you have a day based on fiber recommendations: 28 grams a day for women under 50, and 21 grams for women over 50, and 38 grams per day for men under 50, 30 grams for men over 50. Keeping that in mind, you should still shoot for at least two servings a day of fruit.